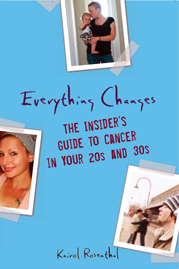 Everything Changes – The Guide to Young Adult Cancer » Do You Care What Caused Your Cancer? Kairol – great question! I know for me at first it seemed important to me. I was diagnosed with 2 primary cancers at the same time – Ovarian Cancer Stage IIc and Uterine Cancer Stage Ib. I did the genetic testing for the BRCA mutations because of the tie between Ovarian and Breast Cancers but it came back with no mutations. Honestly I dis this testing for my siblings andx neices and nephews to see if there was a mutation that may have been passed on to them. There was no mutation detected. 9 months prior to my diagnosis my hubby and I stopeped almost 4 years of unsuccessful fertility treatments so I was recieving internal and external gyn sonograms every week. Somewhere in those 9 months 3 tumors and cancer developed. Was it the fertility drugs, was it my lifestyle, was it my lifelong struggle with gyn issues or was it just dumb luck. At first I had this overwhelming need to know what “gave” me cancer, but now almost 5 years later that isn’t so important anymore. Like you said “What am I gonna do with it now?” Now I would rather think that I got cancer to put me in a place in my life to do greater things like volunteering, fundraising and advocating for cancer research and helath care reform. In May 2006, I was diagnosed with Stage IIa breast cancer and underwent chemo and radiation. Just this May, I was diagnosed with Stage IV non-Hodgkin’s lymphoma. The oncologists don’t want to say it’s related but I have read several things that indicate one of the drugs I received in my first chemo or the combination of chemo and radiation together may be a cause of blood cancers. I’m only 42 and generally led a healthy lifestyle (no smoking, normal weight, etc.). I Although it may be rare, and I wouldn’t want to scare anyone about the treatment they may be undergoing for cancer, I do feel it is likely that the lymphoma was a secondary cancer. Looking forward, what I hope for most for others is that researchers continue to find more targeted therapies so people don’t have to bombarded with chemotherapy that affects the rest of their body or radiation that may be unnecessary. For myself, I’m currently under treatment, so that’s my big focus right now. There are only two ‘known’ causes for Chronic Myeloid Leukemia — high dose radition of the Hiroshima sort, and exposure to benzene. For those of you who aren’t familiar with benzene… is a known carcinogen and it’s used as an additive to gasoline, in solvents, and in making plastics, dyes, synthetic rubber, etc. I grew up in Houston, Texas near the oil processing plants, the goodyear plant, etc. Houston, to this day, has the highest concentrations of benzene in the country. Certainly the emissions are lower now than in the 60s and 70s–when I was a youngster. So yes, I care about the causes of my cancer because I see companies and individuals making financial choices all the time that impact the health and welfare of those living nearby. Fenceline communities to industrial areas are often riddled with cancers of all sorts. In my case it can take decades before the symptoms show up and people have generally moved out of those areas. THEREFORE, the cancer statistics don’t show a pattern in the area because people aren’t staying in that area. It’s a long and convoluted struggle to prove anything because the hospitals are heavily funded by the same industries that pollute. Doctors are not always willing to make potent claims about causation because ‘no one can be sure.’ Meanwhile, Houston remains the leader in benzene levels and many other toxic emissions. I have testified to the EPA, partcipated in press conferences with Houston’s Mayor White, and tried each day to think of ways to empower myself and my community to make better choices. You are right…”Everything Changes.” Everytime I pass a chemical plant near schools and homes, I wonder when I will be seeing more of those folks at the cancer center. I’m not obsessed with what caused my cancer but I am awfully curious. I was diagnosed with stage 3 breast cancer at 38. I grew up in Long Island NY which has been studied for years as a possible “cancer cluster”. Also, my cancer was hormonally positive which makes me wonder whether years of birth control pills had anything to do with it. I’ve met lots of young women with breast cancer who have taken Clomid at some point for fertility and we all wonder about that one. Since I’ve had cancer I get really aggravated when I read about environmental things that we know are carcinogens but are still on the market. I haven’t had genetic testing and won’t until after my daughter is grown. A friend of mine once said that Heaven isn’t a place, it the moment that you get the answers to all of your questions. Sounds good to me, and if I find out the answers I’ll let you all know. Like Kate I am a Long Island girl who was diagnosed at 35 with a Stage2 breast cancer. I believe that the various hormones in my medical history contributed to my cancer. Like many young women I spent the better part of a decade on birth control pills before I got pregnant the 1st time. In between pregnancies I used a progesterone only pill and the patch for birth control. Then I was prescribed progesterone during the 1st months of my second pregnancy because my levels were low. All this during times of big changes in a woman’s body. It seems to me that messing with hormones is like playing with fire. Their effects are not fully understood and in an effort to make birth control ‘convenient’ we’ve overlooked the effects of these hormones on the bodies of young women. My obsession with figuring out the ‘why’ and ‘how’ is fading as I shift into staying healthy and safe going forward. Nadine’s post makes me shiver having been through chemo and radiation myself. I worry but I am doing my best to just be smart and enjoy life. “how did I get what I’ve got? ?” I’ve done and continue to do my homework when I was diagnosed with systemic lupus but the question of “what caused my particular case” really didn’t stick in my mind. We simply got a crap deal on the health portion of our lives. I am obviously interested in the general discussions of dangers of chemicals around us, etc., and did wonder a bit if I’ve been exposed to them more than others, but that’s where I stop. When others (those who are not close to me) ask me the question, I think the question is being asked more out of curiosity and out of their fear and probably, unconsciously wanting to put the blame on the patient. “you must have done soemething bad to deserve / cause it”, “tell me what you did so that I can avoid getting sick”. So the factual answer “well, currently, noone knows for sure – combination of genetic and environmental factors” doesn’t make them happy. It’s silly but I often even feel like apologizing for not being able to give them the confession of sins of my bad behavior that led to my lupus, for not being able to tell them, “don’t worry, you’ve been good and you won’t get it” . . !!! It was actually heartbreaking though, because I think my parents asked the same question in a way to see if they could have done better to prevent it(did they feed me with too much processed food? did they make me sunbathe too much? did they spray too much chemicals at home?). Thanks for your posts, ladies. My husband was diagnosed with 1b testicular cancer in April. I haven’t tried to find out what caused it–he has none of the “warning signs” that are mentioned as things that may make people more likely to develop TC. It has been shocking to hear friends question what “caused” it–one friend asked if I thought it was the stress my husband endured while writing his PhD. Are you crazy? Does everyone who is under stress develop TC? I don’t think so. My uncle died from TC in the 1970s when he was 17. My mom thinks it might have been the pesticide-spraying trucks that they ran and played behind as kids. Cancer may be related to extremely high levels of pesticides (especially dangerous ones that are not used any more), but that doesn’t explain why my uncle developed TC and his 5 siblings, who also played behind the trucks, did not. Mystery unsolved. 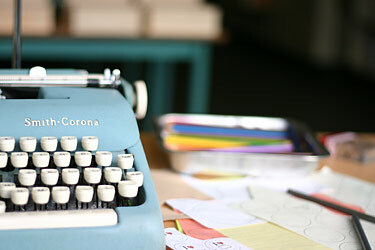 ‘Anonymous Me Again’- You add so much to the conversation so keep coming back and feel free to comment up a storm. My book and blog are for anyone who can relate to the issues at hand – not just cancer patients. From the slew of great comments ALL of you have left, it seems like we are on much the same page. I like to think of the cause equation as the me vs we question. Why me? or What caused my cancer?… not so important, we cannot prove it, even in a cancer cluster, if the environment is part of the equation, how will I know if my case is the one that was caused by chemicals or if I was one of the population that would have gotten it otherwise even without the chemical factor? I think why me leads us down the path to weird emotional stuff – could I have done anything to prevent it? Should I or someone feel guilty for having done something wrong? Instead it seems much more productive to me to ask Why us? What caused our cancer? When we look at large numbers and scientifically controlled studies and observation, that is when we glean information that can affect policy. It is super impressive to read about Rhonda’s work and how her personal story connects to the larger issue! Your book is so wonderful. It is such a resource. I know I have said it before but there just was nothing out there for my best friend when she was diagnosed. This book would have been incredible for her. I remember driving with her from Michigan to Florida and having her tell me that she had lumps in her neck. Then she just looked at me and said that she tought it was cancer that she had given herself because of her thoughts. She added that there was cancer in her family and she was just waiting for it. When she got back from Florida she called from Michigan to tell me that she had Non-Lymphoma Hodgkins. She was 19. She did not cause her cancer. Genetics, environment whatever…she is a survivor. I would really love to know what caused my cancers; Ovarian and endrometrial which were thought to be primary sites. No family history (to my knowledge) and a pretty healthy lifestyle for my 51 years. NED since Dec. of 09…. still would love to know the things I should avoid! You bet, I think about it all the time. NOBODY KNOWS! Knowledge is power. Let’s work on finding out what causes this stuff!